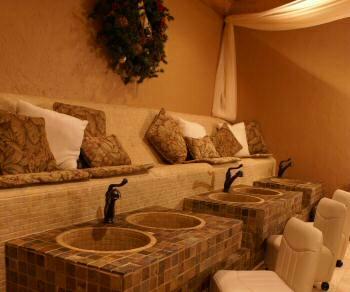 If you're looking for a little pampering, then Serenity in the Mountains specializes in doing just that. Located in Blue Ridge, Georgia, inside a gorgeous log building and furnished like an elegant mountain lodge. Serenity in the Mountains is a World Class Day Spa and Luxury Suites/Condos. They offer Spa Packages, Skin Care & Make up, Hair, Nails, Massage Therapy, Body Wraps & Exfoliators and medical services. Their goal is beauty through health and relaxation. Individualization of treatments is vital in reaching this goal. Their wide variety of treatments enables them to provide you with a multitude of choices to best suit your needs. Enjoy a refreshing drink by a cozy fire while you wait for your next service. Serenity in the Mountains' relaxation room is warm and relaxing. It's a great place to wait between all your services. Be careful, with the comfortable lounging and the calming music, it's so relaxing you might just doze off for a moment. What would we do without our "Girlfriend Getaways?" You can shop till you drop in historic downtown Blue Ridge, pamper ourselves at the Spa, and then stay there! Those of you who are more adventurous may even want to go white water rafting, hiking or boating on Lake Blue Ridge. Whatever you and your gal pals enjoy... come to the Spa and stay with us. These packages are a great deal for groups of four or more. Need a block of rooms? No problem. Brides-to-be love us for that perfect Bachelorette Getaway Weekend before the wedding too. Serenity in the Mountains offers 1 bedroom, 2 bedroom and 3 bedroom suites. All of their rooms come equipped with a king-sized bed (plus queens in the 2nd and 3rd bedrooms), remote control fireplace, jacuzzi tub, signature oversized tile showers, full kitchen, plasma TV, cable, internet access, and washer/dryer. The smallest suite is 1,000 square feet and the 3 bedroom deluxe suite is over 1,600 sq. feet-they call them suites, but they're much more like a mountain condo. You'll find spa robes in every suite and they invite all of their guests to visit the steam room and/or sauna at the spa as part of your stay during spa hours. Traveling for business... look no further. 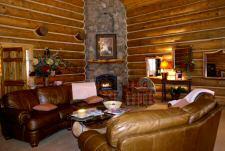 Serenity in the Mountains offers corporate rates and extended stay discounts. They also have a handicap accessible suite (all of our suites are on one floor) and a pet-friendly suite. Please keep in mind that all suites are different. Please advise them if you are elderly or have a special need so they can accommodate you in the appropriate suite. Just call us to help book your vacation, your business trip or a spa/suites package. Welcome to Serenity Suites.